This month’s Nightclub &Bar Show was full of beer, liquor and wine brands attempting to steal the show and get into the wallets of bar, lounge and nightclub owners across the nation, but for one local Henderson-based company their goal at the show was to prove the value and cost benefits of sobriety. 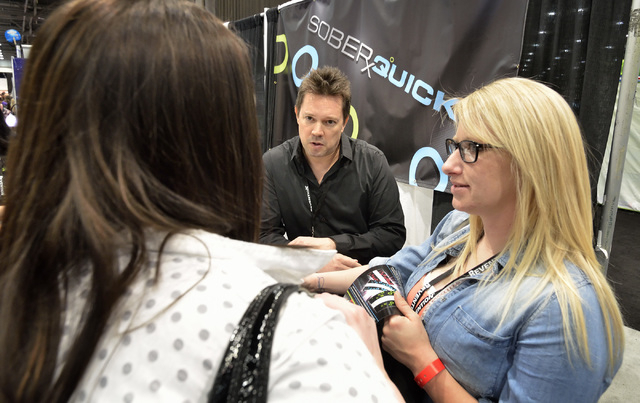 Liquid Innovations used the show as a platform for introducing its SoberQuick product, self-described as “the world’s first commercially available sobriety accelerator.” SoberQuick is a powder that dissolves in 14 to 16 ounces of water with immediate benefits of reducing blood alcohol level, although the efficiency of the product varies depending on the person. SoberQuick spent over five years in research and development, with the initial research team hired in 2011. Liquid Innovations also conducted two carefully controlled clinical trials, both of which were assisted by the Las Vegas community. The product is classified as a supplement and as such is not subject to review by the Food and Drug Administration. In recent years, a commitment to responsible drinking has been made by the bar, nightclub and restaurant industries, as well as by many big brand alcohol producers. One national organization, The International Alliance of Responsible Drinking, has called for a 10 percent reduction in the harmful use of alcohol by 2025. Anderson looks at Las Vegas’ rapidly expanding pool party industry as an obvious target market for SoberQuick. Instead of having to remove clients that may have had too much to drink, the pool venues can isolate the guests, give them SoberQuick, and allow them and their group to remain onsite. This can add an additional four to five hours to a group’s experience at the pool venue, meaning more spending and adding more to the venue’s bottom line. “We know that from now until the end of time, social drinkers will sometimes consume a bit too much and need some help sobering up,” says Anderson. While the ingredients are a trade secret, Anderson and Liquid Innovations readily admit that it took years to create a powder that was palatable with a smooth taste. Those industry insiders who have had full access to the recipe and the two advanced clinical trials confirm its efficiency. “The ingredients that were chose for SoberQuick are backed by research that demonstrates the ability to promote sobriety,” says Karen F. Vieira, who holds a Ph.D. as well as a master’s degree in management. “Using SoberQuick can safely improve the ability to regain sobriety after consuming alcoholic drinks.” Vieira works for Synchrogenix, which did peer review work on Liquid Innovation’s research. 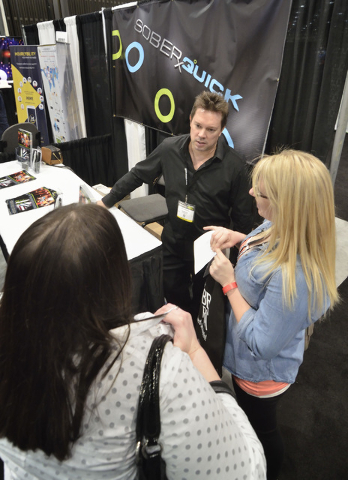 The bottom line benefits of SoberQuick are obvious in a large market like Las Vegas, but the interest displayed from smaller to midmarkets in the Midwest and South at the Nightclub &Bar Show took the entire Liquid Innovations team by surprise. “Middle America seems to be interested in it because where Las Vegas has a lot of tourists, they have a lot of regulars, so they expressed concern for their well-being,” says Anderson. 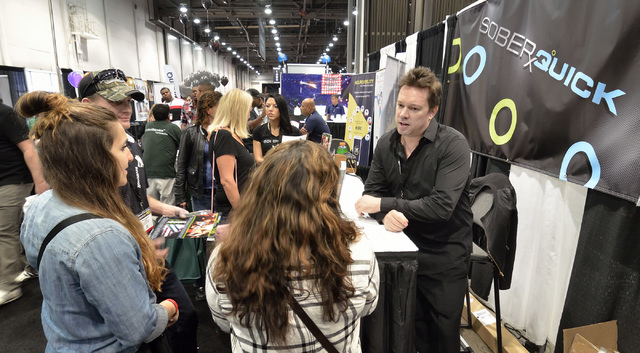 Liquid Innovations is still in the process of identifying distributors and initial bar, nightclubs and restaurants for its product rollout. Unlike many products in the space, SoberQuick makes it a point not to over-promise and under-deliver. There is not a standard height-weight-gender-age formula to determine the efficiency of the powder, which needs to be stirred or shaken with 14 to 16 ounces of water for one whole minute to maximize efficiency. In the two advanced clinical trials conducted in 2014 and 2015, a total of 16 individuals participated, 12 males and four females. The weight of the participants varied drastically from 140 pounds to 260 pounds. The results varied as well, as six of the eight participants in the 2014 clinical trial took anywhere from 25 percent to 90 percent less time to sobriety, usually coming to sobriety anywhere between two and four hours faster using SoberQuick. In the 2015 clinical trials, the weight of the eight participants had a smaller variance, from 165 pounds to 235 pounds, but the results were just as spread out as the first trial. Five of the eight participants took anywhere from 19 percent to 65 percent less time to reach sobriety. There were two extreme results in this trial section, with one participant showing literally no effect from SoberQuick, while another participant showed a dramatic 317 percent time decrease in sobriety time, reducing his time by eight hours, 16 minutes. The randomness of results leads SoberQuick to its method of transparency and hard-line practice of not over-promising results. It is that combination of transparency and proof of results that Liquid Innovations will be taking to the Wine &Spirits Wholesalers of America Convention and Exposition April 18-21 at Caesars Palace. “We see ourselves as a Nevada company,” says Anderson, who readily acknowledges that manufacturing is done in California. But, he said, he is eyeing Las Vegas facilities.